I am the year lead for 3rd year Bachelor of Nursing Science General (BNS) and previously held the Year Lead Position for Year 1 (2015) and the Post Graduate Programme Directorships for the Post Graduate Diploma in Nursing (Orthopaedics). I am the programme director for the Post Graduate Diploma in Nursing (Peri Operative). I teach across a variety of undergraduate and post graduate modules and have 17 years experience as a lecturer in higher education. My research expertise is in qualitative research methods, including ethnography, phenomenology, narrative inquiry and discourse analysis. I have been involved in research that enhances the quality of nursing education for practice including student experiences of preceptorship, student satisfaction with studying nursing at NUIG and student satisfaction with blended learning. I was nominated for a President's Award for Teaching Excellence in 2009. Current Research Project: HUMANISING HEALTHCARE EDUCATION: Humanising healthcare education with narratives of care and compassion. I am currently involved in an international inter-disciplinary research project that aims to develop a narrative of caring and compassion by identifying and analysing a repository of key books, articles, poems, plays and films that have been most influential on our understanding of the importance of care and compassion. 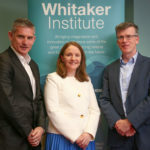 A research team of nine healthcare professionals involved in healthcare education from five universities, three in England, one in Ireland, and one in Canada was formed. Ethical approval was granted from each university. For the pilot stage, each member of the research team was invited to nominate the most influential artefact that most conveyed caring and compassion to them, explain the underpinning rationale for their choice and how they used this item in educating health and social care students. The analyses of n = 38 questionnaires and the nominated items was completed. The final abduction stage of analysis (was completed in March 2015) involved analysing the whole data set using discourse analysis and the project leads synthesising the whole and obtaining agreement regarding the meaning of caring and compassion as revealed through this project. We are currently preparing 2 papers for publication and have presented at 3 International Conferences. (2011) An evaluation of the strengthening families programme in Limerick. (2009) Multi-Disciplinary Students Knowledge of Child Protection Issues. (2011) Poetry: A pedagogical tool for enhancing critical thinking and reflective practice. Annual Interdisciplinary Research Conference. Transforming Healthcare through Research & Education. Trinity College Dublin. (2010) So you think you can write! Creative Thinking: Re-Imagining the University, . Centre for Excellence in Learning & Teaching 8th Annual Galway Symposium. (2010) Look whos talking! Social networking and Transformational learning in post graduate healthcare education. All Ireland Society for Higher Education. (2009) Developing critical thinking & problem solving skills in nurse education through the use of poetry . 2nd International Nursing & Midwifery Conference. (2009) Multi-disciplinary students knowledge of child protection and welfare . 9th International Family Nursing Conference, Reykjavik, Iceland. (2009) Enhancing Multidisciplinary Knowledge of Child Protection and Welfare through Collaborative Educational Methods . 1st International Childrens Nursing Conference. (2009) A Rainy Summers Work: Reflections on the implementation of technology enhanced e learning in post graduate programmes . Irish Learning Technologies Assocaition Annual Conference. (2008) Power & politics in the operating department Irish Nurses Organisation, . Operating Department Nurses Conference. (2008) Student experiences of preceptorship. Nursing and Midwifery Planning and Development Unit HSE Mid West. 5th Annual Conference Transforming Care through Innovation and Quality Limerick. (2008) The importance of inter-professional education: Messages from a Child Protection Study . NETNEP-2nd International Nurse Education Conference: Research & Innovation in International Nurse Education. (2007) Poetry: An Educational Aesthetic for Nursing . 1st International Conference, School of Nursing & Midwifery. (2006) Supporting Stroke: Findings from an ethnographic study Irish Heart Foundation Annual Stroke Study Day, Dublin. (2006) Poster presentation Knowing the student: Issues of diversity that effect learning . 4th Annual Conference on Teaching & Learning The Challenge of Diversity: Teaching, Support & Student Learning, National University of Ireland, Galway. (2006) Evidenced Based Teaching: Challenges & Dilemmas for the Future of Nurse Education . 26th Annual International Nursing & Midwifery Conference RCSI. (2005) Using Reflection as a tool to develop clinical expertise in Orthopaedic Nursing 7th National Orthopaedic Nurses Conference, Cappagh National Orthopaedic Hospital, Dublin . (2005) Psychological Effects of Trauma-Issues for Orthopaedic Nurses. 2nd Multidisciplinary Orthopaedic Conference, Galway. (2005) An Ethnographic Study of a Stroke Support Group. 6th Annual Multidisciplinary Research Conference, Sligo General Hospital. (2004) The Significance of Diversity: The Challenge of large class teaching on the Bachelor of Nursing Degree Programme. International Conference on Learning in the Europe of Knowledge, 2nd Annual Teaching & Learning Conference, CELT, NUIG. (2012) Patient Satisfaction with A Pre Operative Orthopaedic Assessment Clinic. Galway Orthopaedic Nurses Conference. Orthopaedic Nursing:Back to Basics and Beyond. As a teacher and supervisor I strive to engage students by facilitating a comfortable and engaging learning environment that is responsive to student needs. I have particular expertise in developing blended learning curricula, clinical skills teaching and clinical simulation. I use poetry in my reflective practice teaching as a means of connecting with the students and have published on this creative pedagogy.